Many of us are trying to change. We know what we should do, but time after time we fall back on old habits and hang-ups. 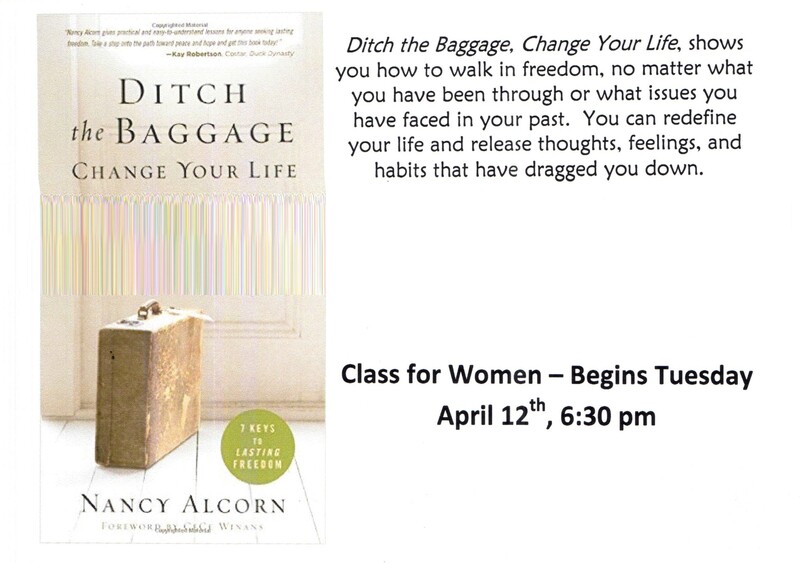 In Ditch the Baggage Change Your Life Nancy Alcorn uses 7 key principles that she learned firsthand as she walked through the healing process with hundreds of hurting people over a period of three decades. These keys are the secrets to making permanent changes that will set you free and change your life forever. “There are few things that have a more devastating impact on the people one loves than a marriage gone bad – devastating not just for oneself and one’s spouse, but one’s parents, one’s children, and often one’s friendships.” Said Bernard Guerney, PhD. Creator of Relationship Enhancement, at a June 1997 Family Impact Seminar Roundtable on the subject of divorce. Although divorce rates have leveled off, there is still a 50% or higher chance that any new marriage in the U.S. will end in divorce. Each session features an expert on videotape addressing topics related to separation and divorce. Seminar topics include Facing Anger and Depression, New Relationships,Financial Survival, Forgiveness and Reconciliation, etc. Afterwards, small groups discuss what’s going on in the lives of participants, becoming like friends and family as time passes. In between sessions participants will work with a notebook focusing on the weeklyconcepts with relevant Bible verses and other printed material, as well as recommendations for additional resources. 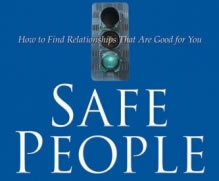 This balance of instruction and support has proven to be very effective in helping participants rebuild their lives. Boundaries are personal property lines that define who you are and who you are not, and influence all areas of your life. Christians often focus so much on being loving and giving that they forget their own limitations. In this course, you will find biblicaly based answers to these and other tough questions, and show you how to set healthy boundaries with your parents, spouse, children, friends, coworkers, and even yourself. Understanding the ten laws of boundaries as presented in this course, will show you how to bring new health to your relationships. You’ll discover firsthand how sound boundaries give you the freedom to walk as the loving, giving, fulfilled individual God created you to be. This six week seminar called “The Essentials of Discipline” offers participants practical understanding, dynamic principles, and positive encouragement to feel confident in handling discipline in a positive way. “Each year at the annual Single Mom Conference, our single mothers suggest classes for Zoë to offer and this year, requests for parenting education topped the list,” Clemons said. “This curriculum addresses practical ways to effectively discipline, love, and enjoy your children.” The parenting seminar features video segments with Dr. James Dobson of the Focus on the Family series. After viewing the video, participants are provided the opportunity to discuss the various techniques and have better insight and understanding of their own children and their own parenting skills. Do you struggle with believing you are truly valuable and have an amazing purpose in life? Do you spend far too much time worrying what other people think of you, even when it means denying who you really are to fit in and be accepted? Through the Single Mom’s Resource Center, we constantly encounter single mothers who are struggling to find their “significance” in life. This 8 week class provides insight and valuable tips for women struggling to find their unique plan and purpose in life. 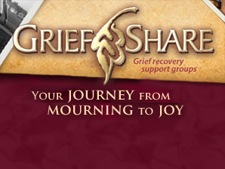 This 13-week grief recovery class is for anyone who has experienced a devastating personal loss in their life. Unresolved grief brings many problems into people’s lives and this class provides valuable information from experts in a small support group type environment. This class is offered once annually through Zoë Institute. This is a relationship skills and decision making program for helping individuals achieve their goals in relationships, family, and marriage. This curriculum is built around the premise that “your love life isn’t neutral” and the decisions you make in romantic attachments will affect the possibility of success in every other aspect of your life – especially in child rearing and employment. Success in life on virtually every dimension depends on success, or at the very least, the absence of high danger or derailment of personal goals due to problems in personal relationships. 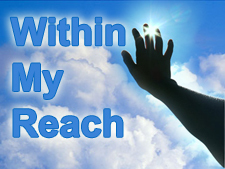 Within my Reach is offered in a variety of formats from 2 full-day seminars to weekly long workshops.